Comments: YES! BOOK READY TO SHIP WITH FREE TRACKING NUMBER. MINOR WATER STAIN ON BACK PAGES. EXPEDITED AVAILABLE. NO HI-LIGHTING. NORMAL WEAR. MAY HAVE STICKERS. 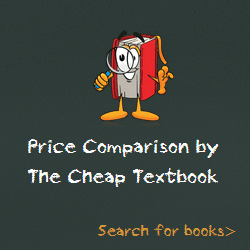 This entry was posted in Book and tagged 1304791106, 978-1304791108, Top Textbook 2018 on January 11, 2018 by Textbooks.